Sometimes photography or even video alone can't fully capture a sense of place. This is where a virtual tour comes in. Lead visitors through an online guided tour, using photos, video, 360° photography, and narration to give them the full experience. 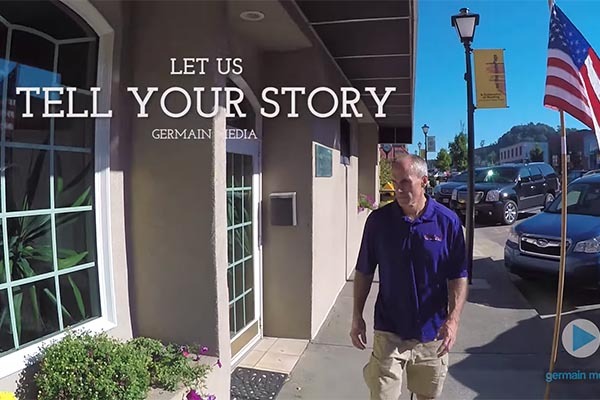 Germain Media can provide your organization with a complete virtual tour package, including photogaraphy, video, 360° images, video narration, and the website to show it all off. Its the perfect marketing tool for colleges, tourism organizations, realtors and more! What goes into a virtual tour that makes it special? Allow visitors to explore areas as if they are there, with the ability to look 360 degrees in all directions. A Video Tour Guide resides in the corner of the screen and informs visitors about the best features of each tour stop. Every stop on the virtual tour site features a stunning full-screen background image as well as a gallery of additional photos at that location. In addition to photos, we can also produce videos to capture a variety of activities happening in your area. As a bonus, these videos can be used outside the virtual tour site to promote your organization. We implement a variety of techniques to ensure your virtual tour website will load quickly and be search engine optimized. You also get two versions of the site - one designed for desktops and one designed for mobile devices.